A quick summary of the Nats 2017 draft, now that the signing deadline has passed. Here’s a link to my tracking XLS to show my work. It has round, overall, slot figures, known bonuses, twitter accounts and some links for pertinent stories. $5,503,500: Nats bonus pool for the top 10 rounds and all overages in rounds 11-40. $54,875: the amount they left “on the table” under the 5% cushion figure (clearly not enough to get Montes de Oca). $6,836,300: the total amount of (known) bonus dollars paid to all their signed players. mlbpipeline.com did a good job this year getting bonuses for practically everyone who signed, unlike prior years where anyone outside the top 10 remained mostly a mystery unless they were huge over-slot guys. 1st rounder: Seth Romero: $269,600 over slot. We’ve discussed this ad-naseum; really have no idea how he was able to command an over-slot deal. 7th rounder Jackson Tetreault: $121,900 over slot, a Juco guy with a commitment to USF that they had to buy him out of. 12th rounder Jackson Stoeckinger: $50,000 over slot to buy the Juco pitcher out of a commit to Kentucky. 3rd rounder Nick Raquet, $47,300 under slot, though not nearly as much as I thought he’d be under. 4th rounder Cole Freeman, $50,000 under slot, again a surprisingly high bonus figure paid out to a senior with no leverage. 8th rounder Jared Brashner, $139,600 under slot, the classic senior sign to save cash for other acquisitions. 10th rounder Trey Turner, $31,300 under slot to the TJ rehab pitcher who probably was happy to get what he got. 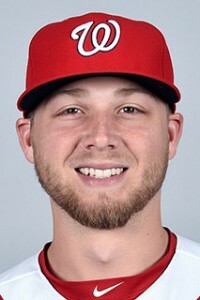 24th rounder Tim Richards, a senior SS from Cal State Fullerton, has apparently elected to retire rather than take whatever miniscule bonus figure the Nats offered and show up to play in Florida. That’s amazing to me. He just finished a great CWS showing, clearly has talent, and i’m shocked he’s just hanging them up. Why not give it at least one summer in pro ball? You got drafted for crying out loud; you have the rest of your life to be an adult. 34th rounder Bennett Sousa announced via Instagram the unshocking news that he’d return for his senior year. No real surprises on the HSers who didn’t sign. Only surprise really was how how high they took Dusty Baker‘s kid as a legacy draft. I wonder if the Nats weren’t trying to make sure they got him rather than some of the other teams Baker has been associated with, so as not to be shown up with their manager, and that explains why he went so high. No real surprise that Bryce Montes de Oca didn’t sign either, once it became clear that the nats 3rd and 4th rounders didn’t really result in that much savings. We already did a quick reaction to the first day/first two picks and then the top 10 rounds. Here’s a more holistic look at our 2017 draft class. The team announced yesterday that it had already signed an amazing 25 guys, and I think that number is likely to rise to at least 33 players (assuming all top 10 round players and all College seniors sign). That’s quite a few more than I initially projected. I did want to make a statement though, following up on a back-and-forth in the comments on previous posts about 3rd rounder Nick Raquet (who, unsurprisingly to me, has already signed though no word on his bonus amount). Some asked why I was so critical of the pick. We’ll, here’s why: its about opportunity cost. Raquet was indeed ranked on some boards (#145 in BA’s pre-draft list) but was absent from practically every other credible draft service (MLBpipeline.com for example ranked 200 players and didn’t rank him at all). ESPN/Keith Law, MinorLeagueBall, 20/80 and Fangraphs all had him totally off their lists. Baseball Draft Report had him in the 300s. The Nats drafted him #103 overall, at the end of the 3rd round. c) the team chose to take in lieu of many, many better ranked players at the time of the pick. You could make the same arguments, by the way, about our 4th rounder: a senior in Cole Freeman who again by BA’s rank was drafted at least two rounds too early and by anyone else’s rankings was drafted 5 rounds too early. The drafting of these two players in the 3rd and 4th cost the team the opportunity to draft two far, far better players in those slots. I don’t have a problem punting draft picks in the 6-10th round range if you’ve drafted quality players in 1-5 … but to purposely punt on 3rd and 4th round implies that their round 1 and 2 picks (Seth Romero and Wil Crowe) were both going to be over slot guys. And that astounds me; Romero was kicked off his college team; how is he in a position to command more dollars than his slot? Where’s he gonna player if he doesn’t sign? Indy ball? And Crowe is a 4th year player with a TJ on his resume who I suppose could go back for a 5th collegiate season, but really that’d be flushing a crucial year of development down the tubes, plus burning a year on his surgically repaired arm … with little chance he could improve his bonus amount or draft ranking over where he got drafted this year. How are either guy demanding over-slot money? I liken the situation to playing Fantasy sports. When your buddy in your league drafts a kicker in the 8th round you mock him mercilessly. Why? Because that same kicker was going to be there 4 rounds later and because wasting an 8th round pick on a kicker is a sign of poor team management and a lack of understanding of how fantasy works. Its the same thing wasting a 3rd rounder in the fashion the team just did. So, frustration over punting two high draft picks so as to pay two other high draft picks more money than I think they’re worth leads me to the end of this diatribe. We’ll have our answer soon enough; if Raquet signs for a piddling amount of money (his slot value is $522,300), and if Freeman similarly signs for under-slot (he’s at $390,000) then you’ll have confirmation of the punting on these picks. I suppose both guys could sign for at or near slot, which would imply that they were worth the draft pick; if that happens i’ll be shocked. 20 Pitchers, 20 hitters. The pitchers broke down 12 RHP, 8 LHP. 9 of the top 10 rounds are pitchers though: these are the guys nearly guaranteed to sign. I count about 29 that i think are locks to sign; every guy in the first 20 rounds, plus all the 9 college seniors drafted in rounds 21-40. Of these 29 guys: 17 are arms, 12 are bats. I’m only guessing that one Prep guy signs: 11th rounder Justin Connell. I count at least 4 under-slot guys: Nick Raquet, Cole Freeman ,8th rounder Jared Brashner and 10th rounder Trey Turner. So that’s where the cost savings will come from to pay Romero, Crowe and perhaps Connell. So, even though the draft splits even 20/20 bats and arms its heavily tilted at the top and in the signability department towards arms. This should make for some serious carnage in the lower ends of our minor league ranks. The Auburn roster is half stocked with late-round college seniors drafted in 2016 and rising IFAs from the DSL last year; I could see some moving of those guys down to GCL as needed and a shedding of 20th-some round 2016 signees to make room for all the guys they’ve picked up this year. But the more I look at this draft, the more it looks like a one or two-player draft at the top. Is that ok? Sure; it is basically what the team did in the Lucas Giolito draft, and the industry was on record saying that the strength this year was college arms. It should be interesting to see how quickly Romero moves up the ranks. At the top of round 1, a last minute switch led to a surprise first name being selected: Royce Lewis went 1-1 instead of one of the two big college arms being rumored there all week; twitter reportedly had Brendan McKay rejecting an underslot deal at 1-1 and thus falling to 4th … where he’ll still get paid. Nonetheless, the top 5 ended up being the same top-5 on nearly every mock draft … just in a different order. How about the Nats picks? Lets just say there was some back and forth among the pundits about these top 10 picks. 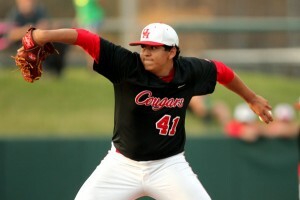 1st Round/#25 overall: Seth Romero, LHP UHouston. 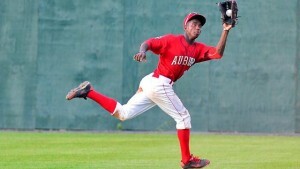 (Espn #59, MLBPipeline #25, BA #27, Minorleague #29, BDR #49, 2080 #30). Well, the worrisome situation came to pass; the Nats couldn’t help themselves and drafted perhaps the draft’s biggest knucklehead. His list of transgressions at Houston were large and dumb; fights with teammates, weight/conditioning issues, drug issues. Prior to the spring, he was easily a top-10 talent, with early projections having him going as high as 6th overall. He’s a power-lefty; works 92-95, touches 97 and per MLB already has two 60-grade pitches. He kind of reminds you body-wise of Chad Cordero, with mechanics kind of like Drew Storen. He’s got a very quick arm, is a big-body kid who might still need some conditioning work, but whose mechanics may give him some issues later on. I don’t like the pick for the character issues; the Nats left one big college arm who I would have preferred in Alex Lange, but the guy I really liked here (Tanner Houck) went the pick before, so perhaps that sewed up the Nats choices. 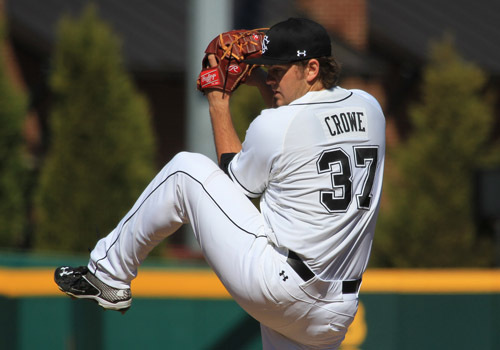 2nd/#65: Wil Crowe, RHP from South Carolina. (Espn #43, MLBpipeline #44, BA #47, MinorLeague #30, BDR #185, 2080 #51): A guy who I saw in some mock drafts going to the Nats at #25 overall falls somehow to #65 overall, despite nearly every ranking system having him 20 picks higher. Crowe is a TJ survivor (aren’t they all these days? 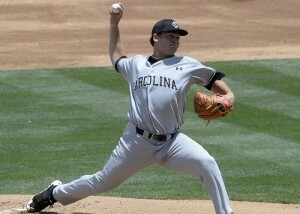 ), with a 65 fastball and a couple of 55s on his other tools who was solid if unspectacular for USC this year. Big guy, big arm, physical comparison to Joe Blanton. I like this as a safe pick. 3rd/#103: Nick Raquet, LHP from William & Mary. BA #145, BDR #348. A lefty weekend starter from a bad baseball school in a small baseball conference. Raquet had good K/9 numbers, but also horrible BB/9 numbers, had an ERA in the 4s and was a non-entity on the rankings. Where is this pick coming from? He wasn’t anywhere even listed on the Virginia-only prospects lists on the various sites. A cost-savings pick? There’s still significant talent on the board, not the least of which is Tristan Beck from Stanford; is his injury worse than people thought? 4th/#133: Cole Freeman, 2B senior from LSU. BDR #429. BA #166. A senior sign, twitter reports that he’s 5’9″, has a short compact swing, can hit, has blazing speed, is high-energy and is plus-plus make-up. Sounds great; this is a fourth round pick? Sounds like an 8th rounder. Still not sure what the Nats are doing. 5th/#163: Brigham Hill, Jr RHP from TAMU. BA #346. MLB #159. BDR #171. Texas A&M’s #1/friday starter, went 8-3 with a 3.16 era in the tough SEC. Smaller guy, throws low 90s. 50s on most of his pitches, plus change up. I like a guy like this; he reminds me of Austin Voth in terms of draft pedigree and collegiate accomplishment. 6th/#193: Kyle Johnston JR RHP from Texas. BA #250, MLB #136, BDR #492. Weekend starter who bounced around roles for Texas this year but had some very solid outings against good Big12 competition. Not a ton of K/9, but two grade 60 pitches (fastball and cutter). Profiles as a reliever, both by pitch capability and by stature (6’0″ right hander). Not a bad pick here. 7th/#223: Jackson Tetreault, J2 RHP from State College of Florida Manatee – Sarasota. BA #286. I’m not a BA subscriber so I can’t read the scouting report, but his peripherals at his Juco (where a few others are getting drafted) are solid. Worked as a starter, big K/9 numbers. 8th/#253: Jared Brashner. Coll Sr RHP from Samford. BA #430. We’re clearly in the senior sign territory; Brashner’s a reliever from Samford with nearly a walk an inning to go along with 46 Ks in 30 relief innings. 9th/#283: Alex Troop, Coll Jr LHP from Michigan State. BA #179 BDR #184. Solid lefty with good numbers this year. Not a bad 9th round pick, one who still rates on BA’s list. 10th/#313: Trey Turner, Coll Jr LHP from Missouri State. Unranked anywhere, limited time this year ; just 13 IP but 22 Ks in those 13 innings and a stellar BAA. Didn’t pitch after March because … he tore his UCL. So there’s your annual Nat draftee with TJ surgery. 9 arms, 1 position player. 10 college (1 juco), zero prep. A few picks that seem like clear money savers: Raquet, Brashner, perhaps also Freeman. Heavy influence in the South East: 6 of the 10 picks come from Texas, Louisiana or Florida). Conclusion: We’ve talked about the risk of Romero. 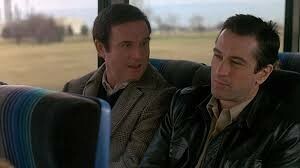 I liked the Crowe pick. I question the Raquet and Freeman picks. I liked the two SEC starter picks in rounds 5 and 6, and I liked the 9th and 10th rounders too as good risks. Clearly this draft is about arms for the Nats after picking mostly positional players in 2016. No screwing around with prep players; they drafted a bunch of college guys to try to get them to the majors more quickly, likely to fill voids coming up in the next couple of years. Fangraphs top 100 draft sortable board. Well, it came to pass. The nats couldn’t help themselves and took talent over character. Here’s my quick reaction to our first two picks. Not surprisingly, the team went with two college arms. 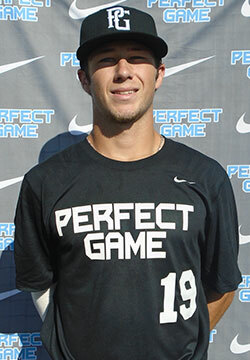 1st Round/#25 overall: Seth Romero, LHP UHouston. Well, the worrisome situation came to pass; the Nats couldn’t help themselves and drafted perhaps the draft’s biggest knucklehead. His list of transgressions at Houston were large and dumb; fights with teammates, weight/conditioning issues, drug issues. Prior to the spring, he was easily a top-10 talent, with early projections having him going as high as 6th overall. He had 85 frigging strikeouts in 48 collegiate innings this year, and his slider is reportedly unhittable. Sounds like a Carlos Rodon comp while he was in college. He’s a power-lefty; works 92-95, touches 97 and per MLB already has two 60-grade pitches. He kind of reminds you body-wise of Chad Cordero, with mechanics kind of like Drew Storen. He’s got a very quick arm, is a big-body kid who might still need some conditioning work, but whose mechanics may give him some issues later on. I don’t like the pick for the character issues; the Nats left one big college arm who I would have preferred in Alex Lange, but the guy I really liked here (Tanner Houck) went the pick before, so perhaps that sewed up the Nats choices. 2nd/#65: Wil Crowe, RHP from South Carolina. A guy who I saw in some mock drafts going to the Nats at #25 overall falls somehow to #65 overall, despite nearly every ranking system having him 20 picks higher. Crowe is a TJ survivor (aren’t they all these days? ), with a 65 fastball and a couple of 55s on his other tools who was solid if unspectacular for USC this year. Big guy, big arm, physical comparison to Joe Blanton. I like this as a safe pick. Interestingly, both guys might be “slot savings” picks too. Romero may be a Scott Boras advisee, but his free-fall may not put him in much of a bargaining position. Meanwhile, Crowe has now passed up being drafted twice, is a redshirt Junior and really doesn’t need a 5th year of college. So perhaps we’re seeing some strategy here, saving some cash for a run at a prep arm in the 3rd or 4th. Verdict: in Rizzo we Trust. If Romero’s issues are past him, then we very well could see a Brandon Finnegan like movement through the minors this season (especially since he didn’t pitch a full year), with him even helping in the MLB bullpen later this season. Why not? If he’s got two 60-grade pitches right now, then he could probably pitch in a MLB bullpen right now. Crowe seems like more of a classical big-body RHP innings eater who we may see slowly rise with solid but unspectacular stuff; just the kind of solid starter every team needs to develop from within.